CEO Focus Uses a combination of problem focused One-to-One meetings and small peer group meetings driven by you to address issues facing you and your company. Unique to CEO Focus is that all of our meetings are driven by members - you set the topics and depth. No guest speakers, books to buy, or prepatory meetings. We believe that working on real business issues with only applicable theory. CEO Focus Denver provides a wide range of services to CEOs that help business owners and executives effectively guide their business instead of pushing their business. 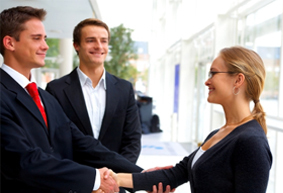 We assist you in developing your personal business skills while advancing your business. We do this by focusing your energy and time on those issues that most effectively move your business forward. We do this together with a combination of personal one-on-one coaching meetings, coupled with grouup meetings of like-minded executives. CVO of Social Media Energy. Testimonials are coming soon! We have references available upon request. The organization now known as CEO Focus was formed in 2001. Starting with a single group in Indianapolis, the organization has grown to over twenty five cities in North America.